Product prices and availability are accurate as of 2019-04-17 06:00:06 UTC and are subject to change. Any price and availability information displayed on http://www.amazon.com/ at the time of purchase will apply to the purchase of this product. 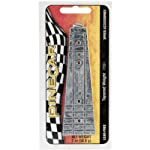 Model Cars is happy to offer this Red Dirt Derby Pinewood Derby Weight Drilling Tool with 2oz Tungsten Incremental Weights by Red Dirt Derby. 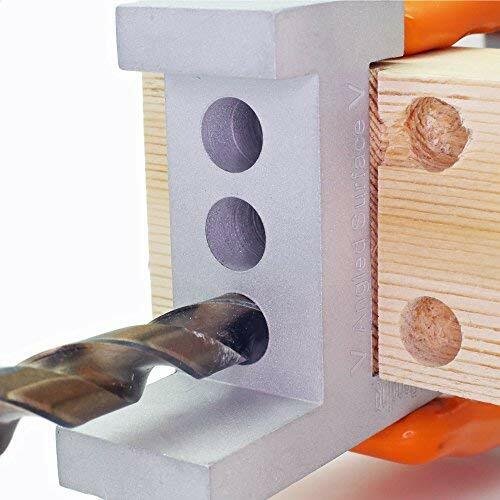 Gift this realistic Red Dirt Derby Pinewood Derby Weight Drilling Tool with 2oz Tungsten Incremental Weights made by Red Dirt Derby and listed by ModelCars.us. This interesting kit is currently available - get securely and safely on modelcars today. 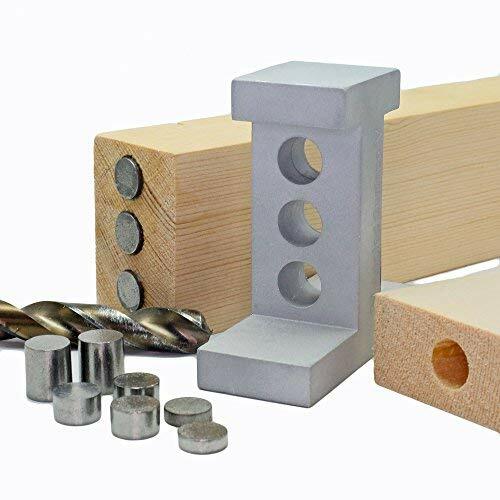 The Red Dirt Derby pinewood derby weight drilling tool and tungsten weight kit has everything you need to achieve perfectly placed weights to maximize your car's speed. 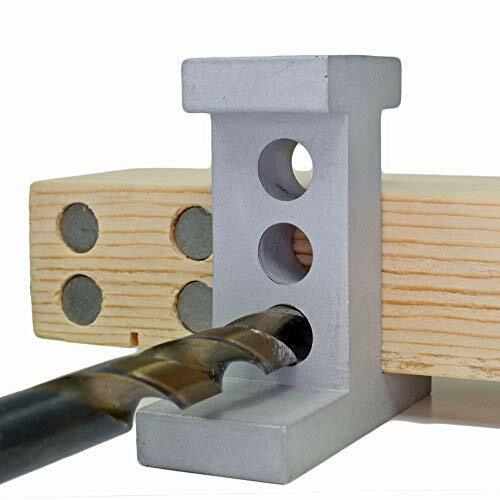 The T-Tool pinewood derby weight placement tool makes drilling perfectly sized weight holes simple. 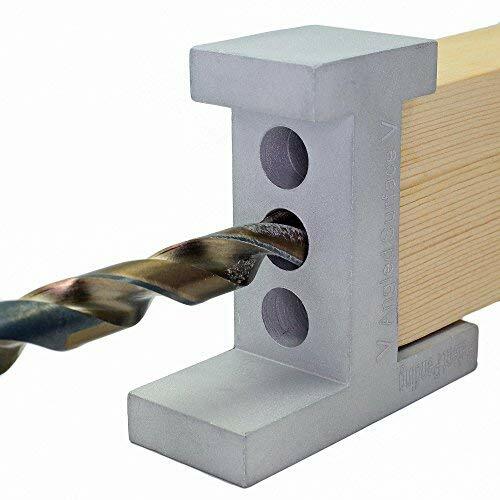 The drilling tool is engineered to help you achieve the ideal balance and center of gravity necessary for maximum speed without the need for a drill press or complicated measurements. The T-Tool attaches in seconds and can be secured with a standard clamp. It is designed for use with 3/8" and 25/64" drill bits to fit standard sized tungsten pinewood derby car weights. It is compatible with wooden car bodies up to 1.75" wide. The 2-ounce tungsten weights fit perfectly in the 3/8" diameter holes made by the T-Tool. The variety of weight sizes allow for incremental weight increases and precise placement necessary to achieve maximum speed. 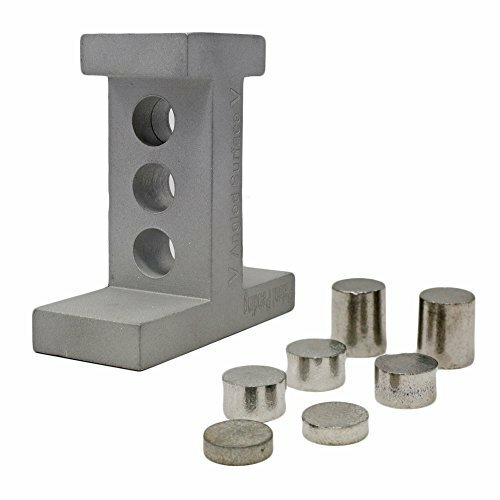 Weights are made from safe, non-toxic tungsten offering superior density compared to lead and zinc weights. The kit includes (1) T-Tool weight placement tool, (2) ½ oz weights, (3) ¼ oz weight and (2) 1/8 oz weights. Wooden block and drill bit not included. 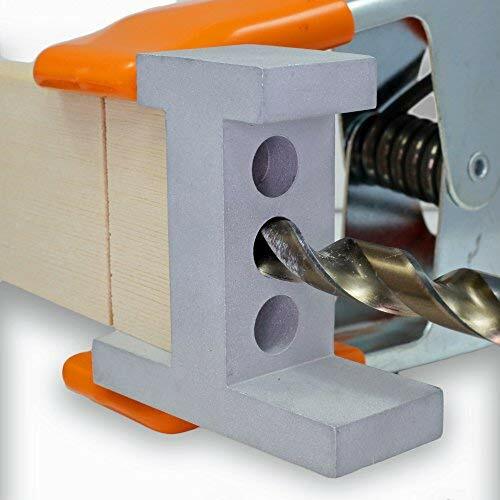 In the event that the tool is tight fitting onto the wooden block, the block can be narrowed slightly using sand paper until the tool does fit. All Red Dirt Derby products are expertly engineered for the Boy Scouts of America's Cub Scout Pinewood Derby race. We have one goal - Speed.